Tikveš is the wine region of the week. It is located in the Republic of Macedonia, a tiny nation in the Balkans, landlocked between Greece, Serbia, Albania, Bulgaria and Kosovo. Apparently wine has been grown there for more than 100 years. The area, a fertile plain, looks beautiful in photos and is surrounded by mountains. With its somewhat Mediterranean climate, it lies along the Vardar River. While they grow a myriad of grapes, Smederevka,Vranec and Temjanika, make up 80% of the total grape production. 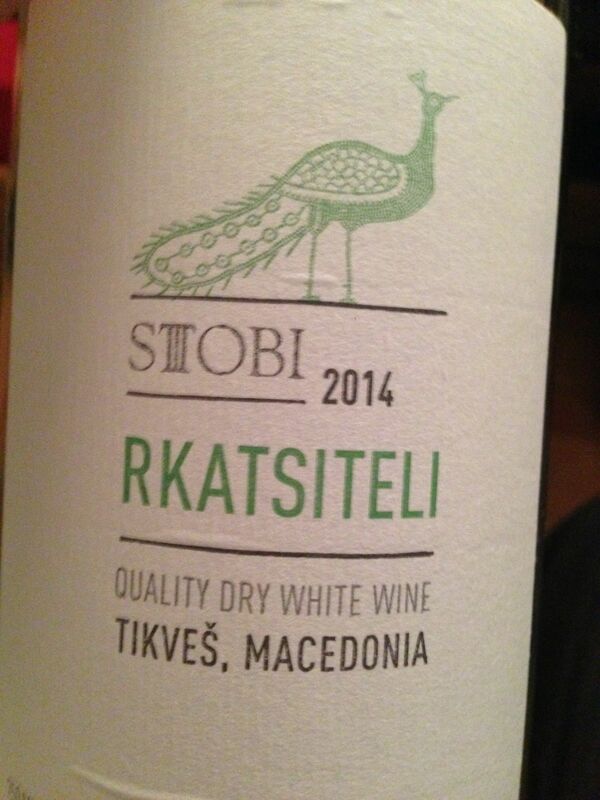 I have tried and written about Vranec in the past, this week I tried Rkaciteli from a winery called Stobi. Stobi, also the name of the town, is a beautiful city with Roman ruins. It was first mentioned about 200 BC and looks to have incredible ruins and art and is said to be much older than that. Stobi is near Skopje, the capital and is a very modern looking winery with state of the art technology, wine tourism and corporate events. Who knew….Winebow certainly did and is their US importer. The Rkaciteli was a nice cheerful wine that I tried with my friend Lynne from Glasshalfull.com. We agreed it was a perfect match with our local favorite Peruvian chicken from Flor de Mayo. The acidity was higher than I would have expected at 7g/l and I wonder if that is all natural but that said, I liked the wine and for less than $15 a bottle, it’s hard to go wrong with this fun, novel wine.